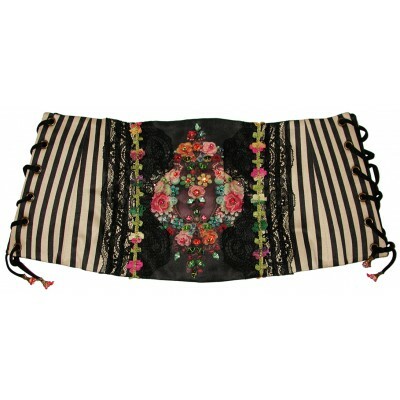 Michal Negrin cinch belt. With stripes and multicolor Roses pattern and sparkling Swarovski crystals. Has laces for adjusting fitting.